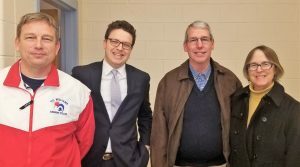 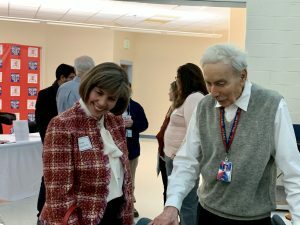 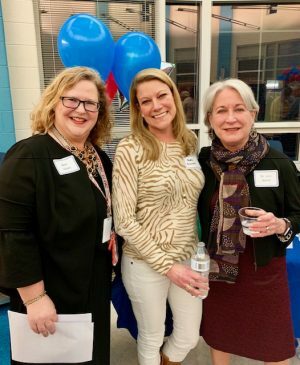 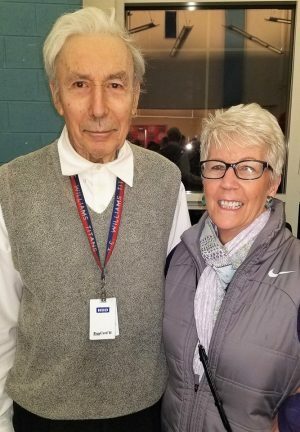 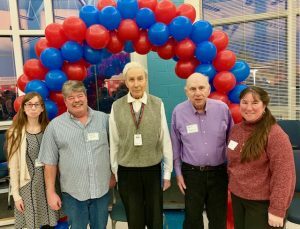 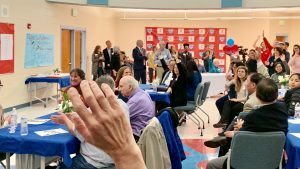 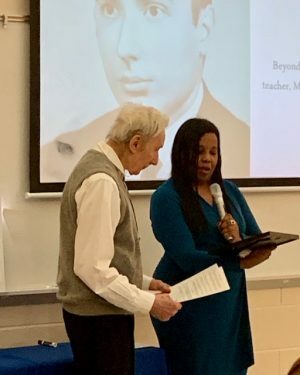 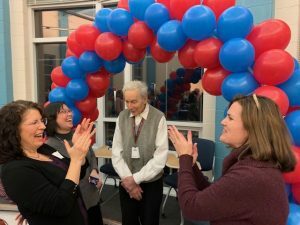 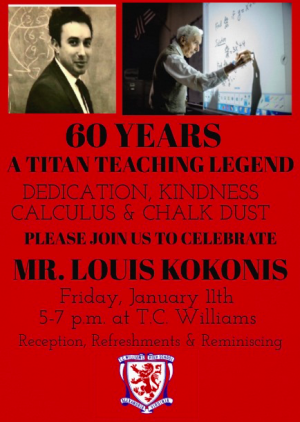 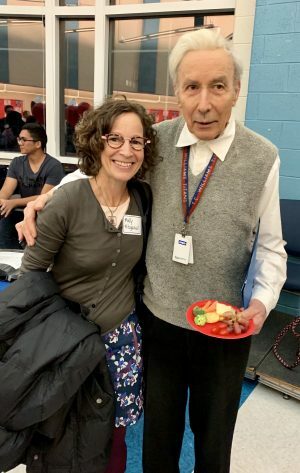 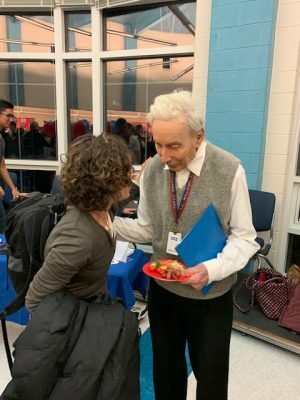 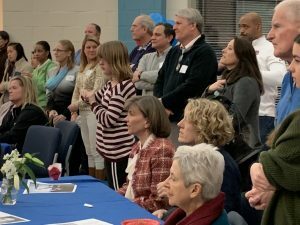 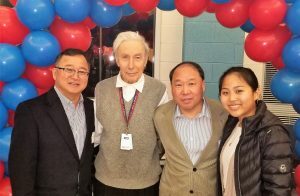 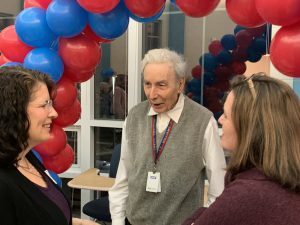 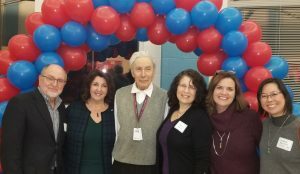 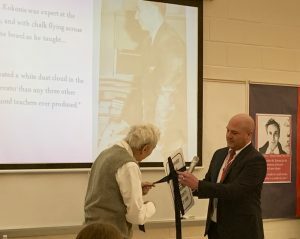 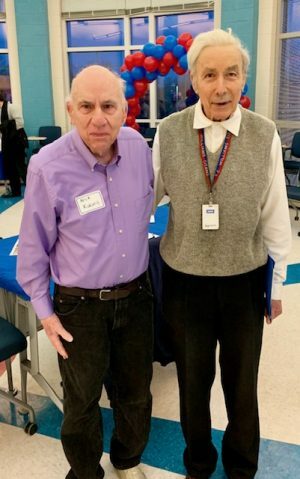 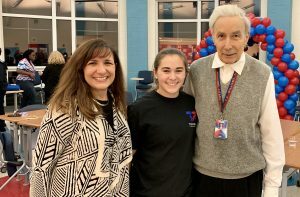 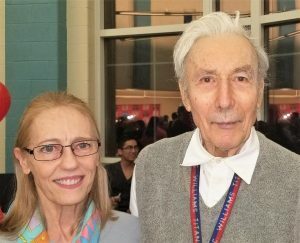 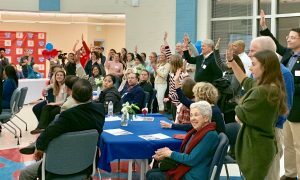 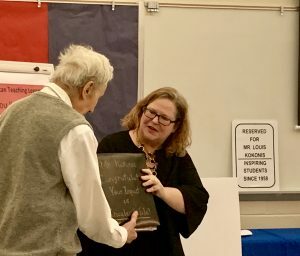 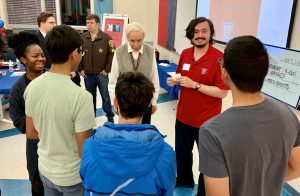 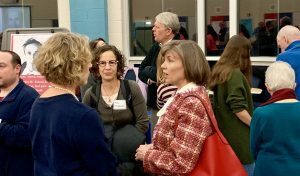 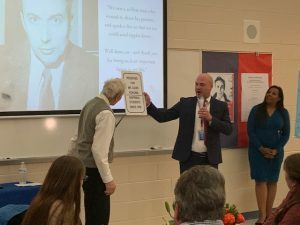 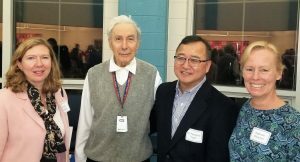 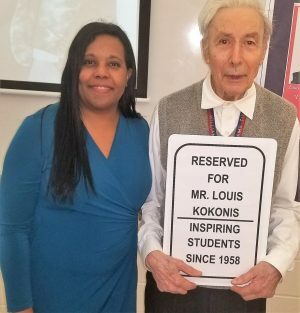 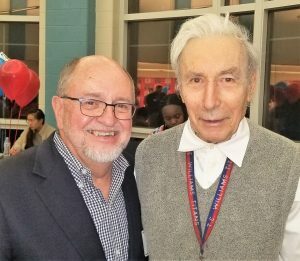 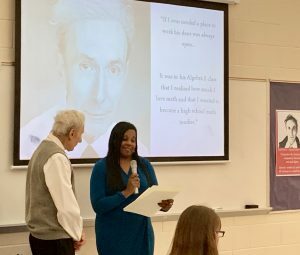 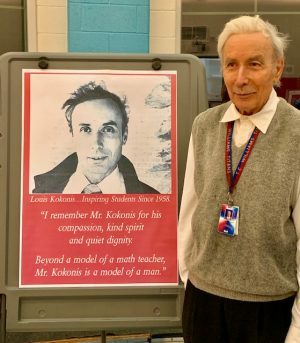 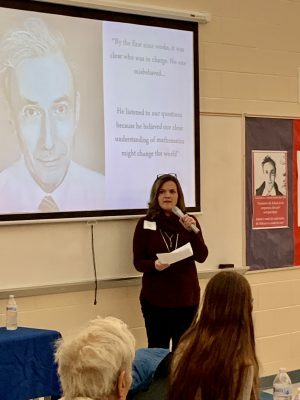 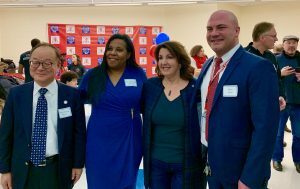 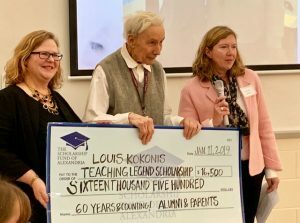 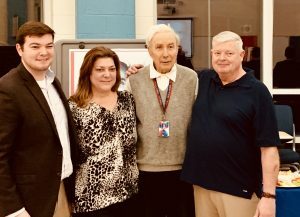 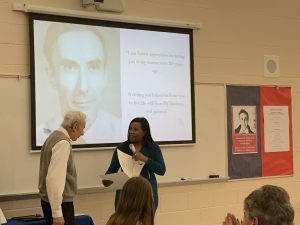 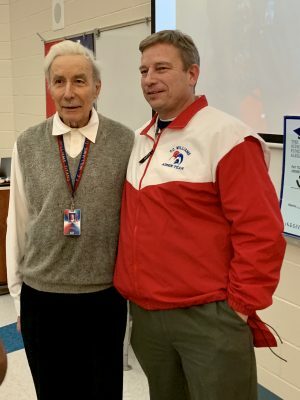 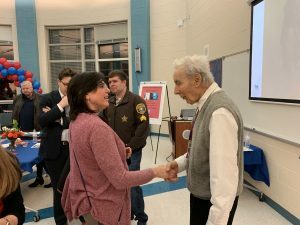 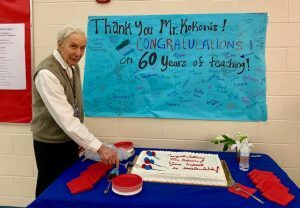 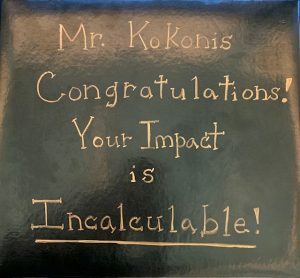 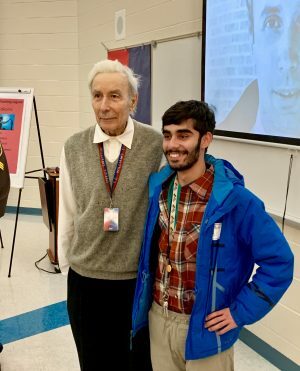 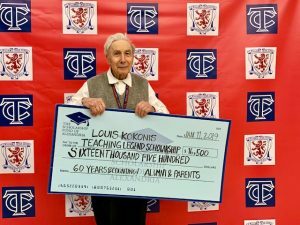 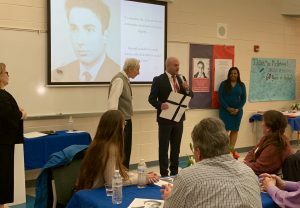 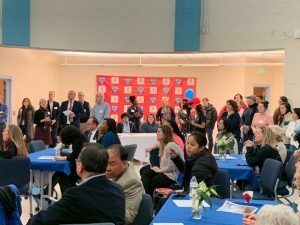 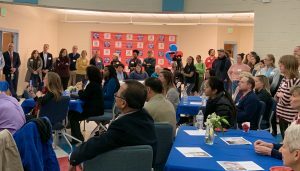 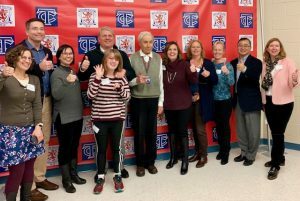 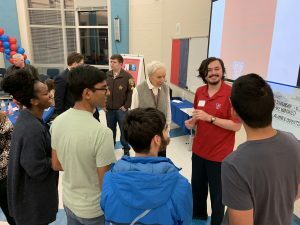 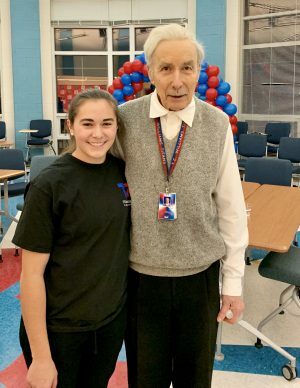 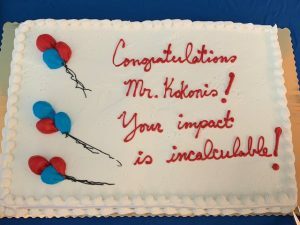 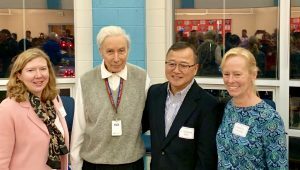 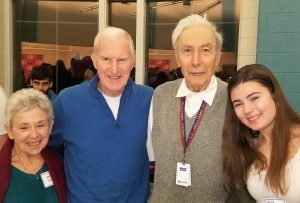 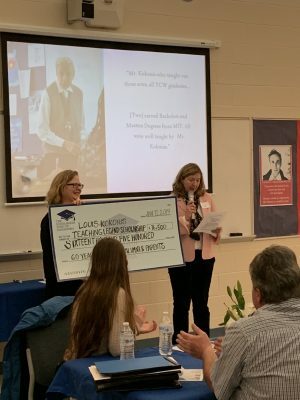 View the snaps The Scholarship Fund is so grateful to all who joined us to celebrate Mr. Kokonis and his 60 years of teaching in Alexandria and all who supported the “Louis Kokonis Teaching Legend Scholarships” on January 11. 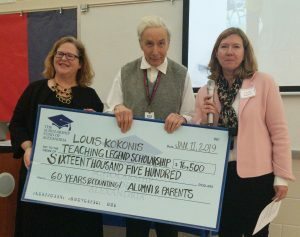 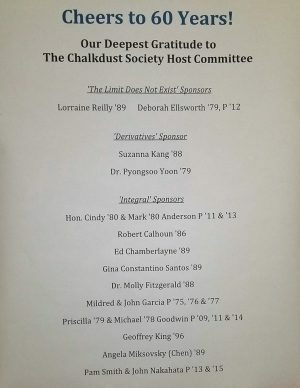 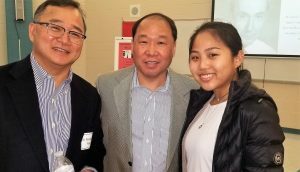 The heartwarming event raised nearly $17,000 to support scholarships, which will help send T.C. 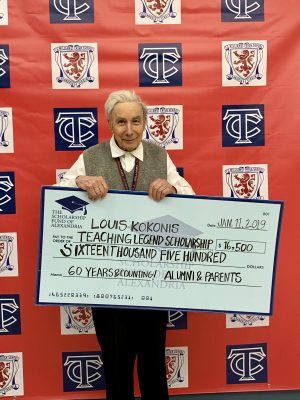 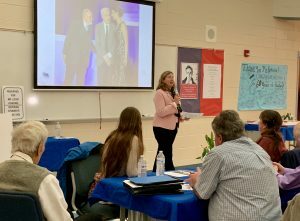 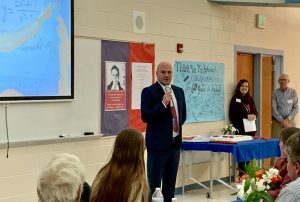 Titan students with financial need to college in honor of Mr. K. This is the largest teacher scholarship event in our 33-year history — a true testament to the ❤️❤️❤️ the Alexandria community feels for this true teaching legend and Alexandria treasure. 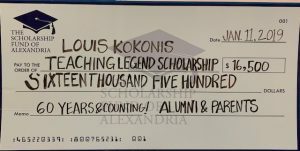 Thank you to ALL of the Alumni, parents, students and Alexandria leaders who gave and ALL who joined us to salute him! 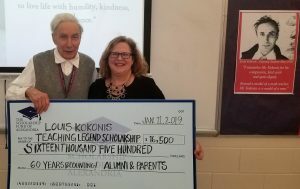 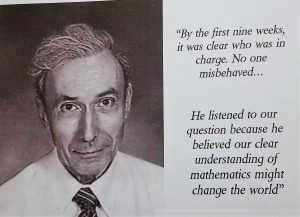 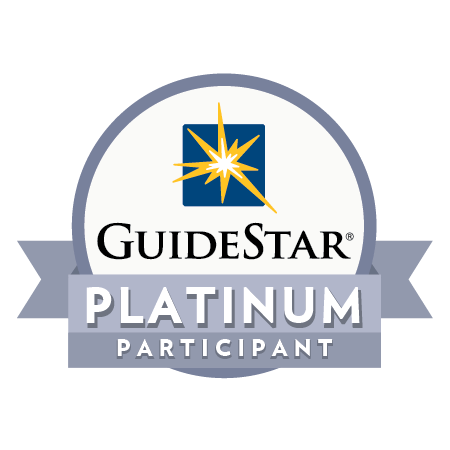 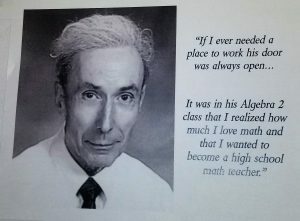 Want to contribute to honor Mr, Kokonis? 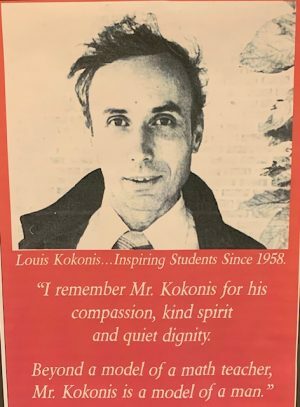 There’s still time. 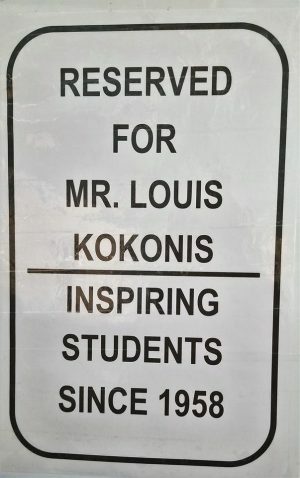 Click Here and note “Kokonis” in special instructions.